The 2017 Mizuno Frame Walker bags help you experience a stylish walking round of golf! 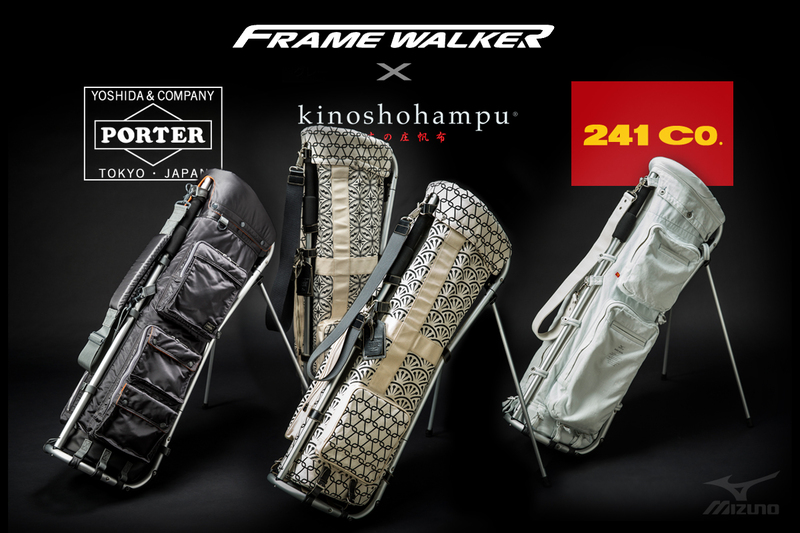 They have collaborated with three premium Japanese fashion brands: Porter, Kinosho Hanpu and 241 & Co. Also new for this year is the Frame Walker Red which is the Mizuno Runbird version. All models come with the same rugged light-weight aluminium pipe frame as the base. Each bag provide plenty of pockets and zippered compartments to store your necessities to support your game. These bags are absolutely the coolest looking stand bags on the market today. 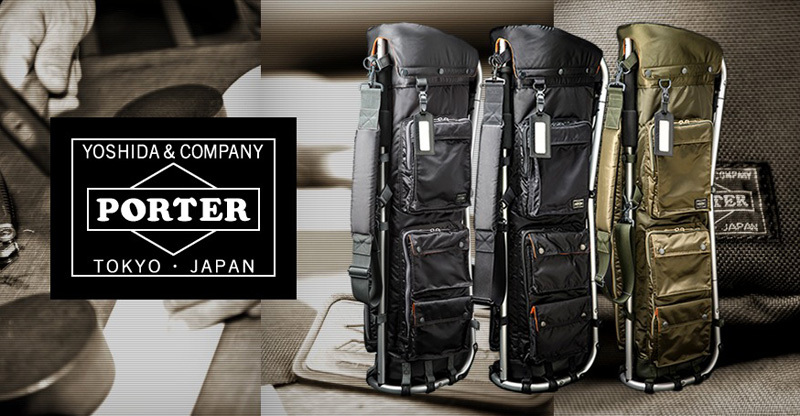 They do cost a little more, but don’t you think your premium JDM clubs deserve a better carry bag? “Porter” is a brand owned by Yoshida & Co. Yoshida & Co is a bag company in Tokyo found in 1935. “Porter” brand was started in 1962 producing popular business casual bags as their main product line. While many domestic bag companies have gone overseas for their manufacturing, Yoshida & Co strictly maintained their manufacturing in Japan. For decades, they continue to be a very popular brand among younger men and women in the Tokyo business scene. “241 & Co” is a fashion apparel brand in Kurashiki-city in Okayama which is known widely in Japan’s mecca of blue jeans. “Japanese denim?” High end Japanese blue jeans cost as high as $500 a pair or more. Their main line of products use specially treated denim material that gives a stylish worn look and feel. If you like more of an urban look, I recommend Porter ( Grey, Black or Khaki ) and if you want your JDM clubs secured a durable Japanese cotton canvas bag, go with Kinosho. If you’d rather go with a casual American look, 241 & Co ( White or Grey ) may suit your style. And for the die hard Mizzy fans, Mizuno Runbird logo’d version to match perfectly with your Yoro Custom MP irons!! This Runbird model comes with an updated red anodized frame which makes the frame stand out even more! 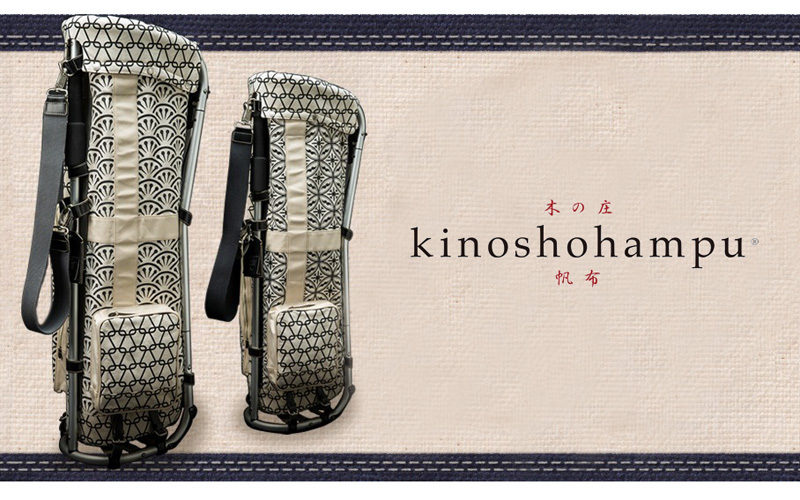 My personal favorite is definitely the Kinosho Hanpu with the very traditional Japanese design. It’s a good blend of an antique look and a very modern form of the aluminium frame. The heavy duty cotton canvas look very durable to last a whole lifetime as well. I think this bag would look great for the Seven x Shinagawa MBs!! No matter which model you choose, with the 2017 Mizuno Frame Walker, you are sure to attract attention on the course!! TSG Club Works Modified Epon P3 Irons back in stock!